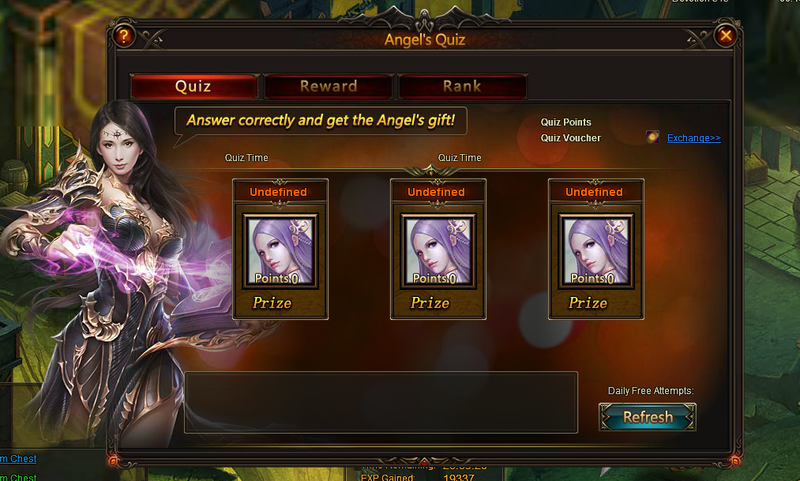 I am on S928 and Angel\'s quiz is supposed to be up right now, but when you open it the angels are all named Undefined, they are worth 0 points, and there is no question to answer. ; The reward and combo tabs are completely empty and the dates on Event Duration are set to 12.31 17:00:00 - 12.31 17:00:00 with the reward collection between 5.20 00:00:01 - 5.21:23:59:59. 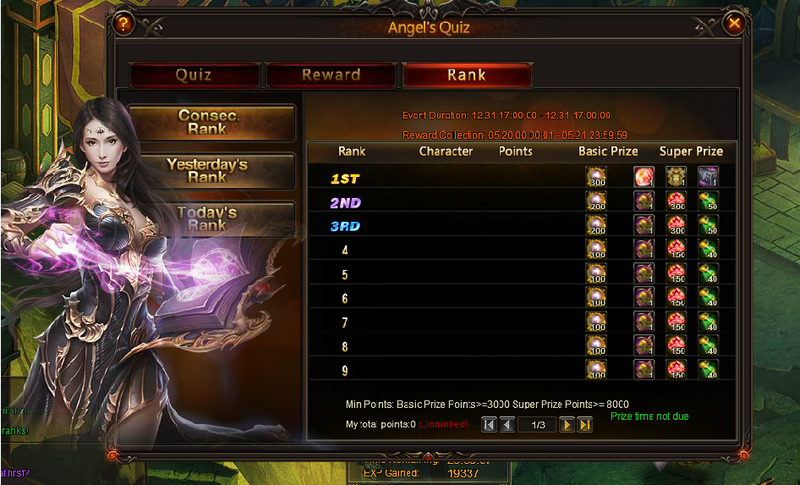 Is anyone else able to do angel\'s quiz? 2019-4-23 00:55 GMT+8 , Processed in 0.051647 second(s), 38 queries .